You can buy used tubes/pipes Ø 1420 on our web-site. Its main advantage is minimal cost which is significantly lower compared to the new ones. Note that our specialists perform a wide range of renovation procedures which provide high-quality characteristics and complete functionality of tubes/pipes. Products’ working service stays long with preserving operating function. 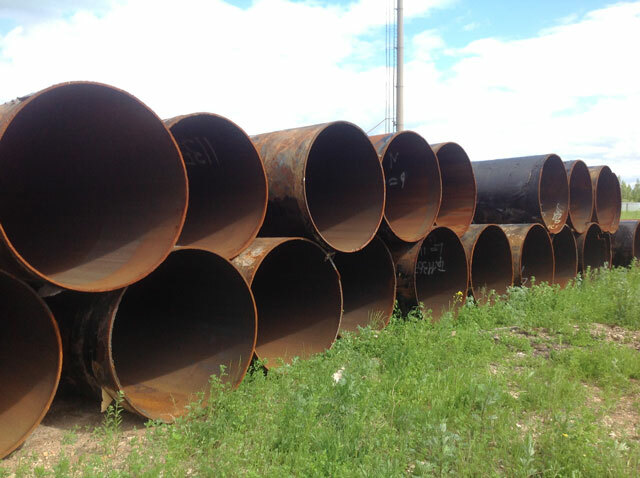 Tube/pipe material: high-quality steel. Tube/pipe is made of rectangular steel sheet (strips). After that those tube/pipe pieces are welded to the length needed. Quality Warranty: tubes/pipes comply with all requirements of state standards (GOST 10706-76, GOST 20295-85), and many technical specifications. Industries where electric-welded tubes/pipes Ø 1420 (used) are used: industrial and civil constructions, oil and gas infrastructure. Note: Please note that the wall thickness of the tube/pipe Ø 1420 mm varies from 6 to 18 mm. Make sure to choose the one you need. If you buy used tube/pipe Ø 1420 to lay water pipelines, you should use anticorrosive insulation (internal and external) which protects the tube/pipe from negative factors.